Act II of next year’s Etape du Tour is from Pau to Luchon, in the Atlantic Pyrenees. From the very beginning of the announcement of the Tour de France route there’s been talk of this stage being ‘classic’. I even used the word, not really knowing what I meant (this, I assure you, is not the first time). Since it looks like I’ll be doing this stage in 2012 (unless my poll takes a drastically different turn) I thought I’d look into how ‘classic’ this route was anyway. First off Pau-Luchon has been used no less than 20 times in the Tour de France, with the first time being in 1930. 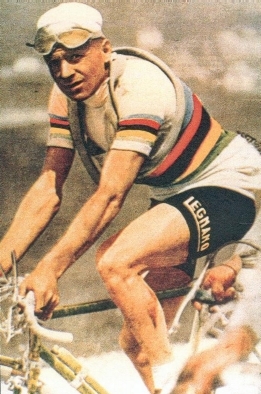 A certain Alfredo Binda won that inaugural stage. 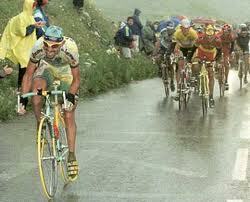 Binda was one of the best pre-War riders and won the Tour of Italy 5 times, along with the 3 World Championships. Never won the Tour de France, at least not as a rider. The stage must have been popular with somebody because the Tour wasted little time in bringing it back – the next year…and the one after that, too! 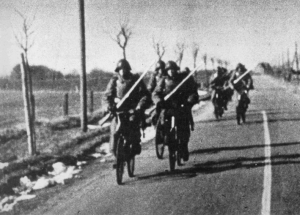 It was brought back from ’35 to ’38 before WWII brought a halt to cycling activities. Well, most cycling activities. 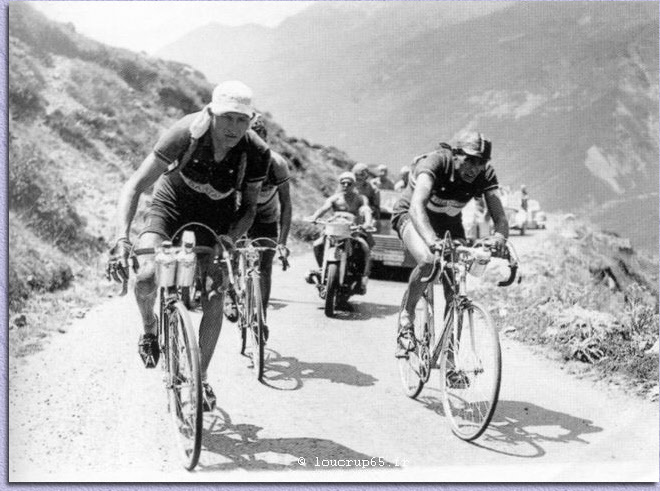 The first Tour de France after the war was run in 1947 and Luchon-Pau (they flip-flop the stage depending on which way the Tour is headed in a given year) was again on the route. In 1949 the TdF had national teams competing and the Italians had two of the best cyclists in the world at the time, Gino Bartali and Fausto Coppi. This Tour, which of course included our ‘classic’ stage, saw Coppi beating Bartali (who came 2nd) under the direction of none other than Alfredo Binda, Italy’s Directeur Sportif. Fast forward to 1954 and Pau-Luchon played an important role in the Tour’s overall outcome. On this punishing stage, with a strong attack by a rider named Bauvin distancing all the favorites, Louison Bobet was the only one of them to counter attack, limiting his losses to Bauvin (who found himself in the yellow jersey after the stage) and taking time on all his main rivals. 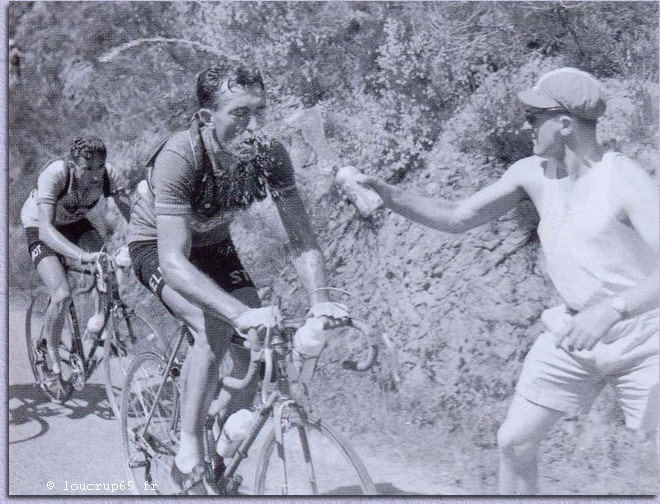 This would be Bobet’s 2nd of three Tours, the first to accomplish this feat. Then there’s 1956, 1960, 1961 (the year the great Jacques Anquetil won his 1st Tour), 1964 (the year the great Jacques Anquetil won his 5th Tour! ), 1966, and 1967, which takes us up to my lifetime! 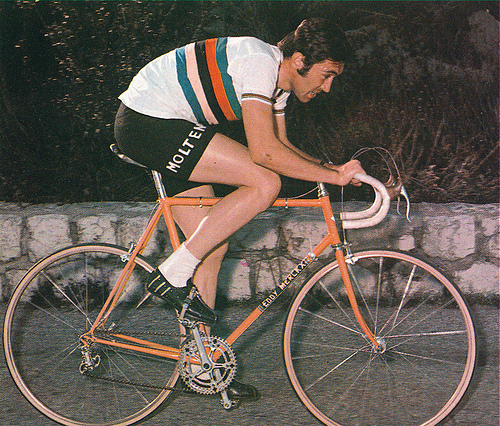 In 1972 the best rider ever to wear tight shorts won the Pau-Luchon stage (and the Tour of course) – Eddy Merckx. The Pau-Luchon stage was again included in the 1973 Tour de France, but then gets forgotten for 25 years somehow, only to reappear in 1998, the year Marco Pantani won his first and only Tour and, more importantly for the sport, the year the lid was ripped off the secret-society of doping in the peloton – The Festina Affair. Then, organizers turned their glance from the stage again, waiting 12 years to include it again. This Tour, which would be the final swan song for Lance Armstrong, had a Frenchman, Pierrick Fredrigo, winning the stage into Pau. I’m glad I took the time to do this little experiment; at least I now know what ‘classic’ really means. The only question remains is, will I be classically beaten to a pulp on this stage, or will I finish in classic style (for me, that’d be on the bike, I think)? This entry was posted in Cycling, Tour de France and tagged pau luchon etape du tour 2012. Bookmark the permalink. I’d imagine it’s great to know the history behind your ride and adds quite a bit of mystique. Fun Fact: I read that the 1930 Tour (in which Pau-Luchon was introduced) prohibited any commercialism by banning sponsored teams and requiring national teams to compete on plain yellow bikes with no company labels on them. The publicity caravan paid for the entire event. Although in the end it’s just a road like any other (just steeper), it’s nice to know who rode it before, you’re right. Commercialism was banned and the Tour was paid for by the publicity caravan…I’m getting a headache just thinking about it! Perhaps you should paint your bike yellow in a show of fidelity with riders of old!